BLM is galloping ahead with its wild horse roundup schedule, despite overwhelming public opposition and the request by 54 members of Congress to halt the mustang captures. Among those targeted: the famed wild horses of Adobe Town in the pristine Red Desert region of south/central Wyoming. .Beginning in October, BLM intends to round up — via helicopter stampede — 1,951 wild horses, or 80 percent of the estimated mustang population living in the Adobe Town Herd Management Area (HMA) and the adjacent Salt Wells Creek HMA. Nearly 1,600 of these wild horses will be permanently removed. BLM claims that this vast, 1.7 million acre range can support no more 610-800 adult horses in Adobe Town and 251-365 in Salt Wells Creek. Meanwhile the agency allocates more resources within this public lands area to privately-owned livestock than to our federally-protected wild horses. DescriptionGathers are planned in Idaho starting Oct 6-13th. The herds concerned are the Sand’s Basin and Four Mile herds. They will be removing approximately 206 horses. Once they have done that they will be returning only horses to meet with the AMLs. Sand’s Basin only allows for 37-60 and Four Mile allows 33-64. As we all know this is not nearly enough for genetic viability. No public attended the meting on the use of helicopters, so this is the method being used. They have limited the appeals to 30 days after the decision which is dated 9-11-2009, meaning any appeals must be filed no later than Oct. 11th. The decision can be viewed at http://www.blm.gov/pgdata/etc/medialib/blm/id/nepa/owyhee_fo/four_mile_and_sands.Par.87893.File.dat/ID-130-2009-EA-3686_Four-Mile_Sands_Basin_Gather_DR.pdf — Idaho gather is scheduled for Oct 6-13 on both herds to remove 206 horses. They will be returning to AMLs of Sand’s Basin of 37-60 and Four Mile 33-64. Tobin Range Roundup Nevada WhenOct 22 – Nov 3, 2009WhereTobin Range (map)Description The BLM plans on gathering horses on the Tobin Range, which included the Sonoma Herd Area, starting October 22, 2009. They will be gathering 450 horses, releasing 10 and removing 440. Unfortunately, the comment period ended Friday. 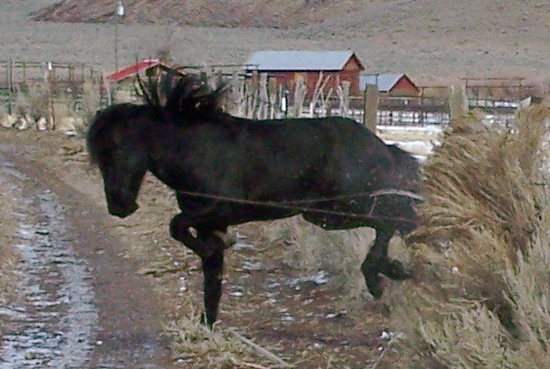 The EA can be seen at http://www.blm.gov/pgdata/etc/medialib/blm/nv/field_offices/winnemucca_field_office/nepa/wild_horse_and_burros/tobin.Par.28897.File.dat/Tobin%20Prelim%20EA.pdf No “official” record of decision is available yet. Total AML for the range is 22-42, well below genetic viability. There are cattle on this range. — Tobin Range gather in Nevada to start Oct 22. Proposed plan is to gather 450 horses, remove 440 and release 10. When BLM began the environmental planning process for this roundup, the agency received over 7,000 public comments opposing the Proposed Action. In an effort to avoid being “bombarded” with “frivolous” emails from the citizens who pay their salaries, officials in the BLM’s Rock Springs and Rawlins field offices have decided to prohibit email comments on the Environmental Assessment for this capture plan. But don’t let the BLM dissuade you from participating in our government! The Cloud Foundation is encouraged that the Interior Department realizes that there are problems with the management of wild horses on public lands by the Bureau of Land Management and is considering ways to improve the Wild Horse and Burro Program. However, the Cloud Foundation questions the need to develop seven new preserves in the mid-west and east (at an estimated initial cost of $96 million) when there are 19.4 million acres of designated wild horse and burro of rangelands that have been taken away from them since 1971. In just the past few weeks, 12 herds (620 horses) were zeroed out on an additional 1.4 million acres in Eastern Nevada. 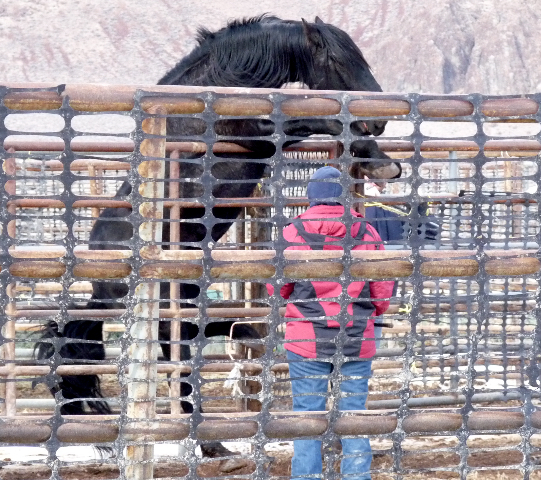 “It would seem that the best use of taxpayer dollars and the most humane plan for the nearly 32,000 wild horses in government holding would be to return them to their native lands” says Ginger Kathrens, Volunteer Executive Director of the Cloud Foundation. “These millions of acres were identified for use by wild horses and burros and these lands are already owned by the American public”. Rather than spending over thirty million dollars this fiscal year (October 1, 2009- September 30, 2010) to remove a record number (over 12,000 wild horses and burros) from the range, only legitimate emergency roundups and removals should be conducted. “The BLM continues to lead the public to believe that exploding populations of wild horses are causing degradation of the range and they must be removed before they all starve. This is without merit because wild horses and burros make up only a fraction of animals grazing the range, far greater damage is caused by the privately-owned cattle who outnumber the horses more than 100 to 1,” states Arizona advocate Julianne French. The intent of Congress’ 1971 Free-Roaming Wild Horse and Burro Act was not for wild horses to be corralled and penned. The clear intent was that the wild horses and burros be allowed to live on western rangelands designated primarily for their survival in self-sustaining populations. The BLM is not following the law in the management of America’s wild horses and burros. 1) Cease all roundups until independent analysis can be made of each herd management area. Move forward only with emergency removals if deemed necessary by independent as well as BLM specialists. 3) Reanalyze appropriate management levels (AMLs) for herd management areas (HMAs). Currently only about 25% of wild horse and burro herds are genetically viable. AMLs should not be reduced due to the private use of public lands for livestock grazing. Currently AML “is based on consideration of wildlife, permitted livestock, and wild horses and burros in the area.” It is not cost-effective to remove wild horses from an HMA at a cost of $2600- over $3000 per individual removed in order to allow a cow/calf pair to graze for a payment of $1.36/month. Cattle, who originated in southeast Asia, damage the land to a far greater degree than wild horses, who are of North American origin. 4) Congress should follow-up with hearings on the BLM Wild Horse and Burro Program as recommended by the Government Accounting Office (2008 report). Department of Interior press release, 10/7/2009. 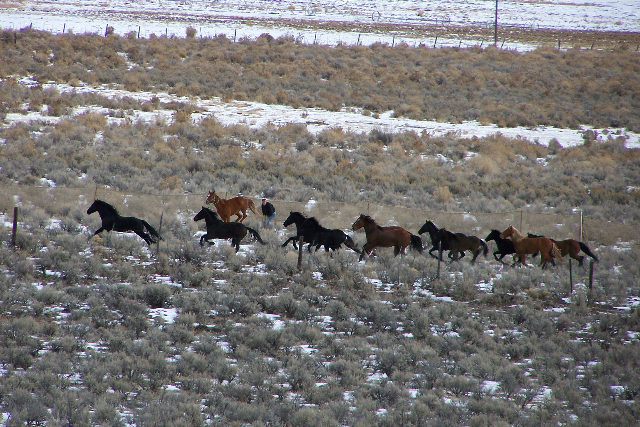 Nearly 32,000 wild horses are in holding as of 10/7/2009 according to BLM records. No independent inventory has been conducted and the truth of this number cannot be verified. Genetically viable defined here as a population of horses 1 year and older that is at or above 150-200 individuals with a Ne (genetic effective number) of 50 or more. This is the bare minimum for genetic viability of wild horse and burro population. More information here. I know Anna, there won’t be any wild horses in Nevada. They are almost gone. I am going to post the capture schedule for this year. Thank you for your comment. We have to keep at them before every single wild horse and burro are captured, living in long term holding or slaughtered. I am outraged at the governments cruel mismanagement of these and other beautiful wildlife. I am outraged that my tax dollars are being used for such cruelty. I am outraged that tax money is being so absurdly misused when it could be spent many times more efficiently. Obama needs to step up to the plate and govern as he promised–using the science–and his humanity!!! !